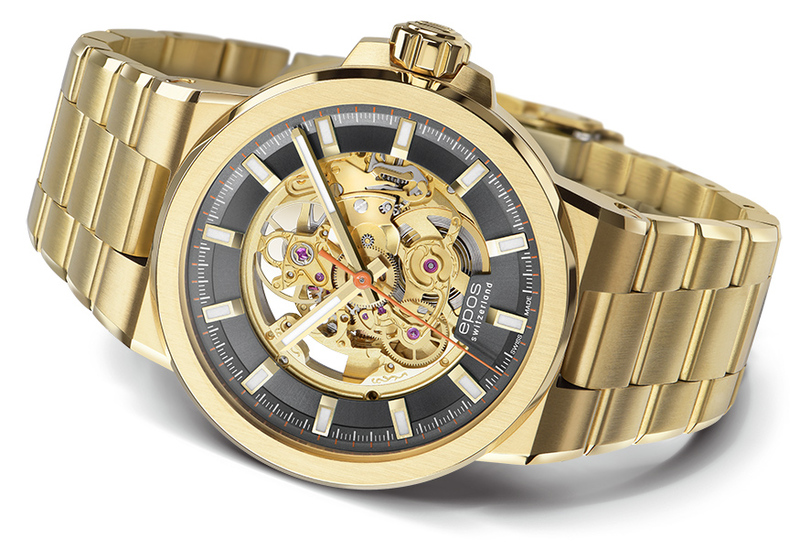 One of EPOS’ core competences has always been the creation of stunning skeleton watches – Masterpieces with beautifully skeletonized Swiss movements at affordable prices. EPOS’ engineers have therefore decided to turn 2019 into the ‘year of the skeleton watches’ and developed three brand-new skeleton models for Baselworld 2019. A unique opportunity to admire the stunning inner life of the elaborately finished and decorated Swiss movements. 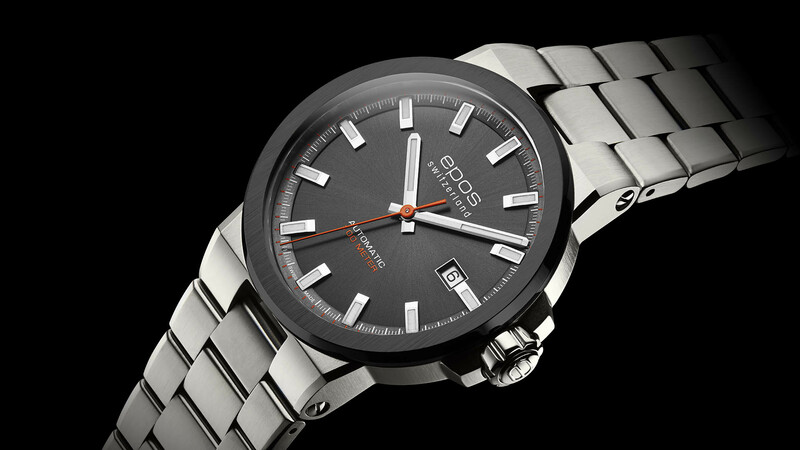 Additionally, as a novelty for this year’s Baselworld edition, EPOS has designed a dynamic sports watch. The new model captivates with its premium case and a sophisticated dial finishing. Premium skeleton retro watch in slim case design and curved sapphire crystal. 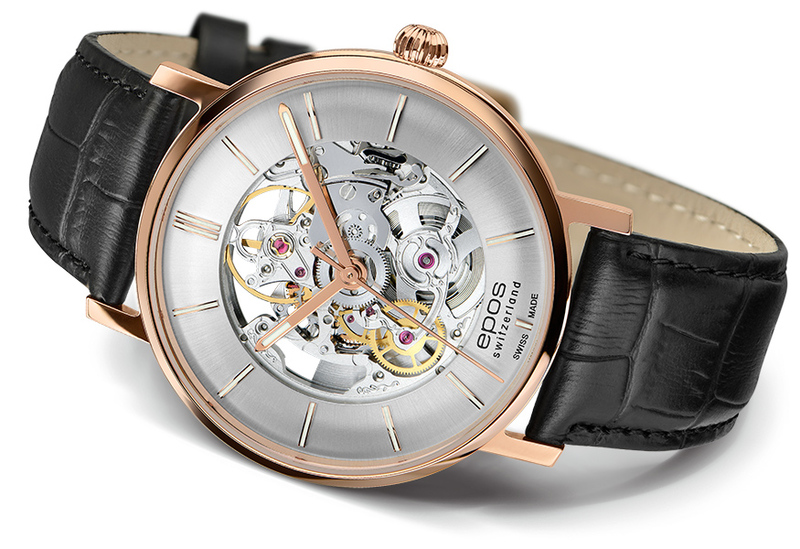 The EPOS 3437 SK combines the charm of the 50ies with the beautiful look of the skeletonized SW 200 movement. The latest version of EPOS’ retro watch is equipped with a curved and skeletonized dial to showcase the motions of the wonderfully skeletonized self-winding movement. The decision can be made between a sunray finished black, blue or silver dial, all equipped with hand-set and hand-filled luminous indexes. This premium retro skeleton watch is built in a slim case design with a strongly curved sapphire crystal. Due to its thickness of only 9.9 millimeters and a diameter of 38.5 millimeters, the watch has a high wearing comfort. The timepiece is water resistant up to a depth of 50 meters. Furthermore, the model’s case is available in a classic stainless steel or rose PVD coating combined with either a metal bracelet or leather strap. 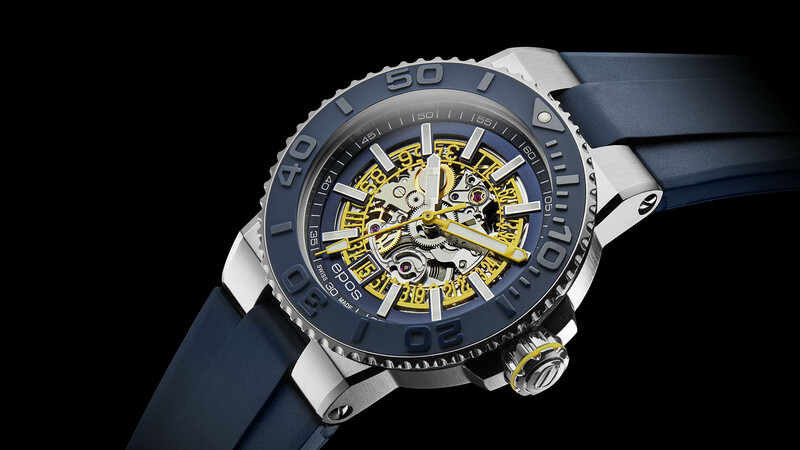 Feature-packed skeleton diver watch with skeletonized date indication. EPOS is proud to present the Epos Sportive 3441 SK – The perfect fusion between the sportiness of a diver watch and the craftsmanship of a skeleton watch. While the timepiece satisfies the highest requirements of a diver watch, it also enables you to marvel at the artistry in watchmaking by revealing the lovely skeletonized automatic SW200 movement. 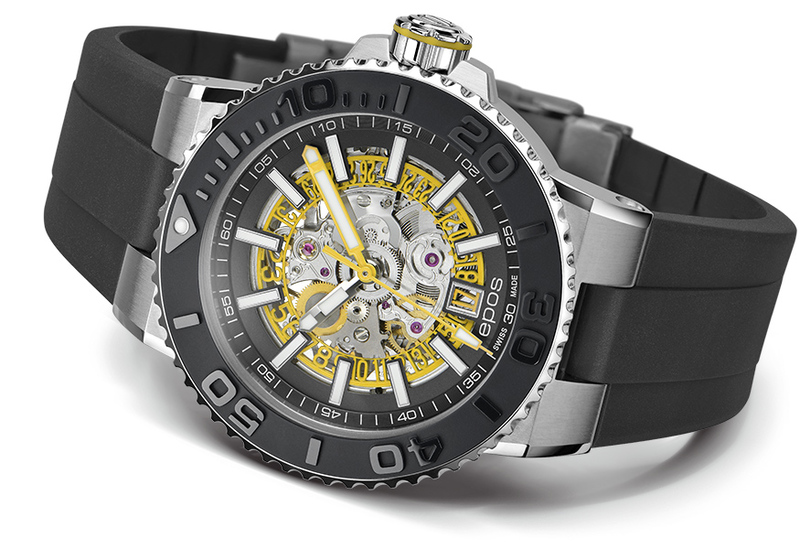 One of the main eye-catchers of this special model is the brightly colored, skeletonized date ring. Nevertheless, the feature-packed case with its unidirectional turning ceramic bezel, the domed sapphire front crystal and the integrated helium valve is also worth mentioning. The timepiece has a diameter of 43 millimeters and a thickness of 14.5 millimeters. The watch is water resistant up to remarkable 500 meters. Several case, dial and strap colors are available. Dynamic skeleton sports watch with premium case and dial design. The new addition to the EPOS Sportive collection is a dynamic sports skeleton watch with a premium case design. 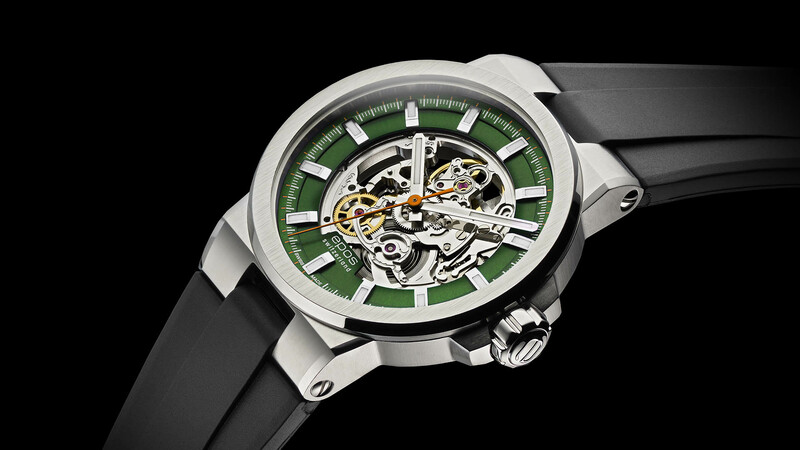 It is equipped with a wonderfully skeletonized SW200 automatic movement. Finished with brushed sides and polished edges, the case has a seamless bracelet integration. It measures a thickness of 10.4 millimeters and a diameter of 42 millimeters. The model is either available with a stainless steel or black bezel, or in a full yellow PVD case and sports a water resistance up to 100 meters. In addition, the sophisticated dual layered dial with its sunray finishing and hand-set luminous indexes with multi-angle polishing is another highlight. Available are three different dial versions: dark grey, blue or green. To underline the sporty look, this model can be combined with either a metal bracelet or a black, blue or orange colored rubber strap. Dynamic sports watch with premium case and dial design. 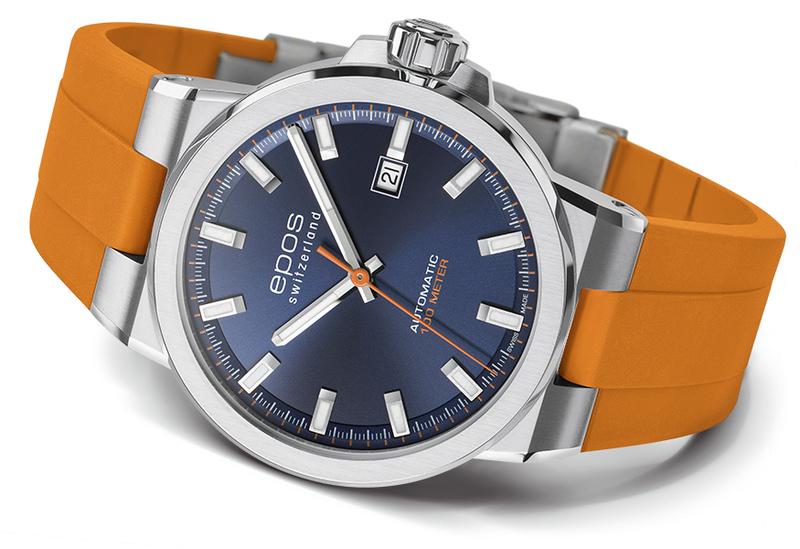 EPOS is launching a dynamic sports watch as a new member of the EPOS Sportive collection. With the new watch, the company closes the gap between sportiness and elegance. 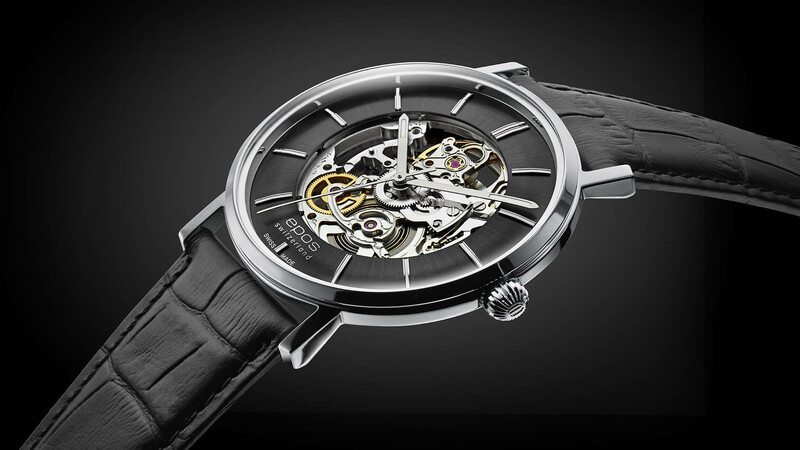 It is powered by a carefully decorated, well-known ETA 2824 movement. The premium case design is brushed with polished edges and features a seamless integration of the bracelet. Its sportive character is underlined by a water resistance of up to 100 meters, a diameter of 42 millimeters and a thickness of 10.4 millimeters. The watch is available in either stainless steel with a steel or black PVD bezel or if preferred in yellow PVD. The dual layered dial with date indication comes in dark grey, blue or green. It has a sunray finishing and is complemented by multi-angle polished, hand-set and hand-filled luminous index hour markers. Finally, the black, blue or orange colored rubber straps as well as the metal bracelet complete the sporty-elegant appearance of the watch. This timepiece is the perfect addition for mechanical watch enthusiasts that are looking for a premium Swiss sports watch which does not have to stay in the drawer on a day with important business meetings.